I wasn't entirely truthful in my last post about my five favorite finishes in 2016. I had to leave out my absolute favorite finish of 2016 because it is in the newest, now available, issue of Modern Patchwork Magazine (squeal)! Back in October I submitted my Urban Trek quilt design and about a week later it was booked and I was given a 17 day deadline to make the quilt and write the pattern! The following day my quilt Optics was reject by the same magazine, whew, and the very very understanding people at Modern Patchwork gave me an extra week to finish. Here's the crazy part, I had it done by the original November 4th deadline. I really didn't think I could do that. Unfortunately, in the whirlwind I didn't get any good finished quilt pictures but this is what it looked like the morning before I packed it for shipping. As soon as I have it back I'll get a better picture posted but the best pics will be in the magazine, along with the pattern. This is one of those quilts that just happened, no struggles, no fights, it just flowed. The idea came to me while I was vacuuming. I had been thinking about my Modern Stepping Stones quilt and the design behind it and then all the sudden it struck me to turn the circles horizontal and layer stripes. The quilting fell into place too. I knew I didn't have the time to go back and forth on quilting designs so to simplify everything I decided to quilt each color with it's own pattern. I'm so thrilled with the outcome of this design and to have a quilt finally published in a magazine. 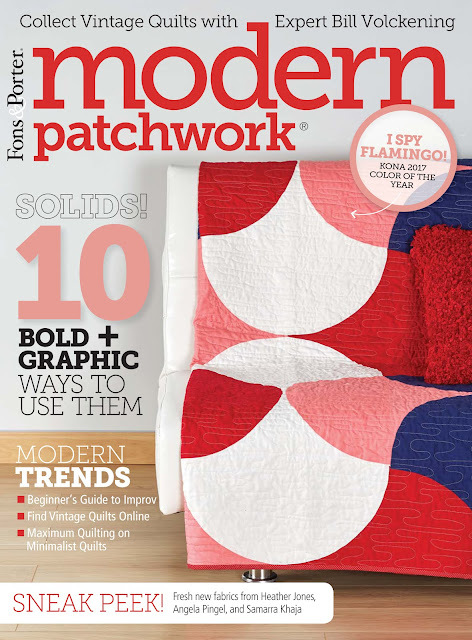 Everyone at Modern Patchwork was great to work with. Very understanding, professional and friendly. I wouldn't hesitate to work with them again, maybe even soon, wink wink. There it is. 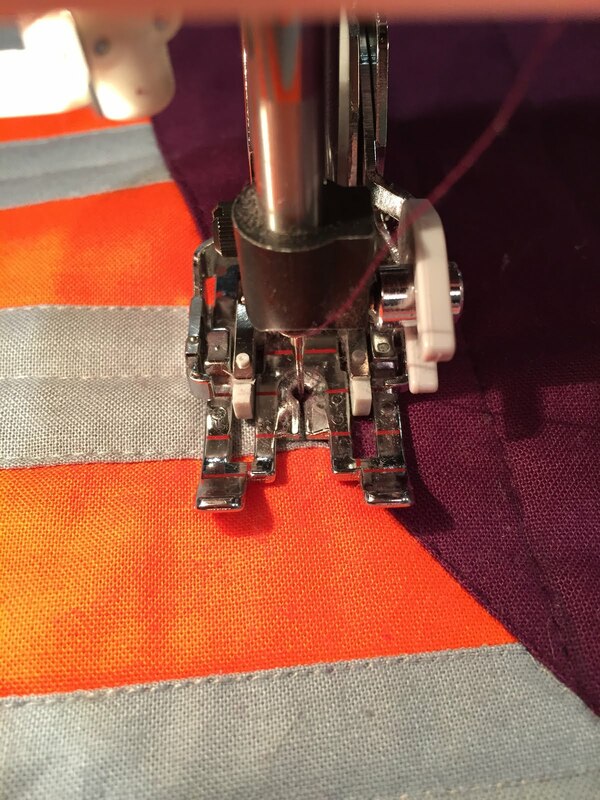 The secret sewing I'd been hinting at for a few months was real. It was hard not to share this quilt but very worth it. 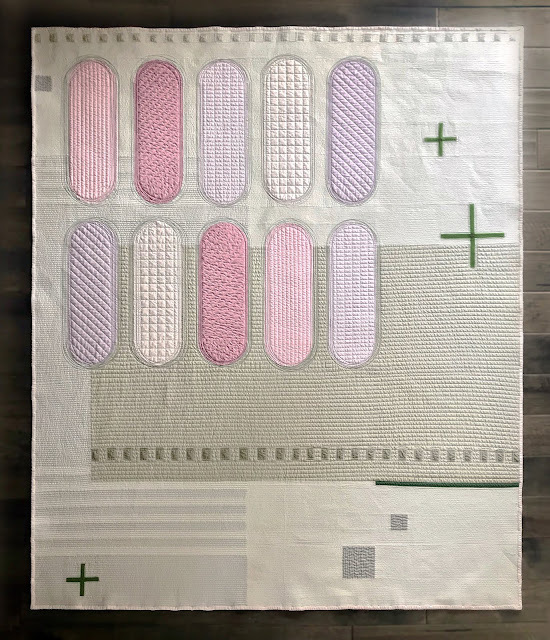 It took me a few rejections to get here but it finally happened, I got a quilt and pattern published. 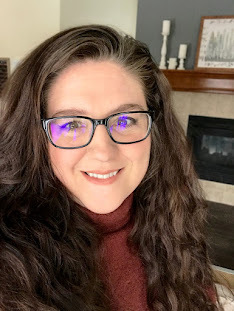 I hope this will encourage anybody feeling discouraged to not give up or if you've been debating submitting a quilt to a magazine to just go for it. I won't say that rejection doesn't sting, it does a bit, but I've learned that it's not personal and all my acceptances have 3-4 rejections right along side them. If you get a chance, pick up a copy of the current Modern Patchwork either in a store, online or even as a digital download. I really like the quilts in this issue. Several have inspired me to try some new design elements and how cool to feature 10 bold-graphic solid quilts! Finally, thank you for sharing this adventure with me. I love designing and making and looking at quilts. Thank you Linda! I hope you will enjoy the magazine there are some really great quilts in there. 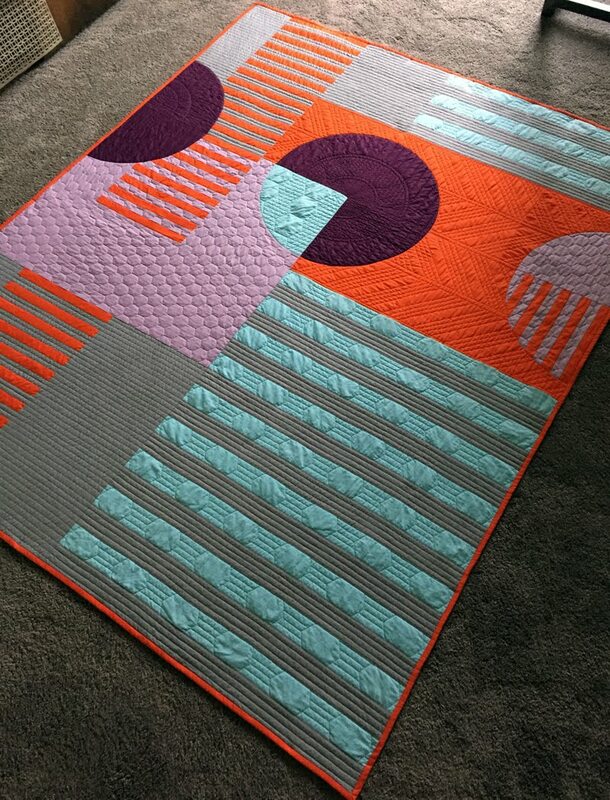 As for MQG quilt of the month... I try every year and have never been selected. I'm already working on a design for this years submission so we'll see. Oh well done. I love how you've quilted it.